Quotationer is a quotation making app which enables you to create sales quotations, estimates, invoices, proforma invoices, delivery notes, purchase orders in two to three mouse clicks. This estimation software will assist you to prepare sales quotations for your customers in no time. This sales proposal software provides the advantage of data consistency among multiple users and keeps the data secure. 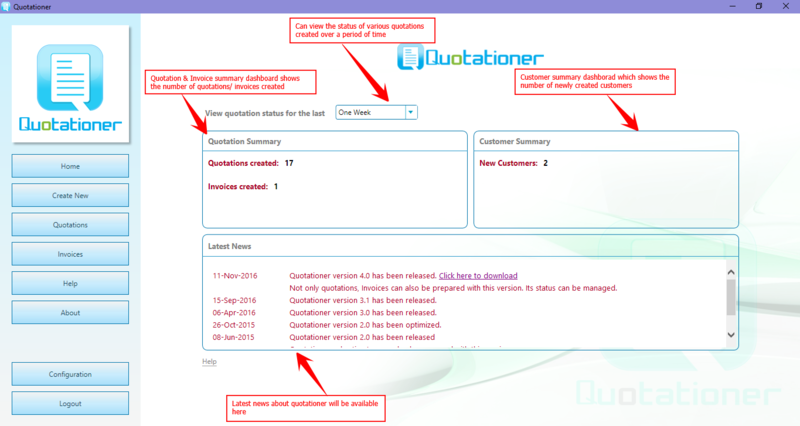 Quotationer aimed at reuse of each quotation profiles and can track each quotations easily via quotation history. The software comes with a free 7-day trial license after which the license agreement can be activated by online payment. Once the license is activated you become a registered user with full access to all features of the software. The Quotation maker software will automatically prompt you when the license has to be renewed and keep you updated with all updates whether they be functional enhancements or software updates.